E3 FLASHER , downgrade 3.72 to 3.55 successfully ! dual boot 3.72 and 3.55 successfully ! 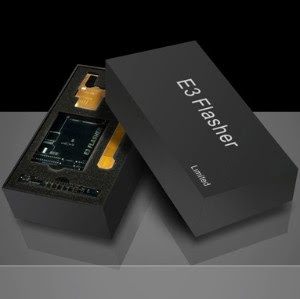 with E3 FLASHER, all is so easy, just switch and works ! And another BIG news is E3 will provide NOR FLASH CLIP free in 3K limited version ! so all slim and parts of fat console no need solder for downgrading . NAND FLASH CLIP also fininshed, will be available in coming new E3 FLASHER NAND version. E3 flasher shipping date will little delay because of adding extra clip. we will inform shipping date in next few days ,sorry bring inconvenience for E3 user.